Proving Size Doesn't Always Matter. 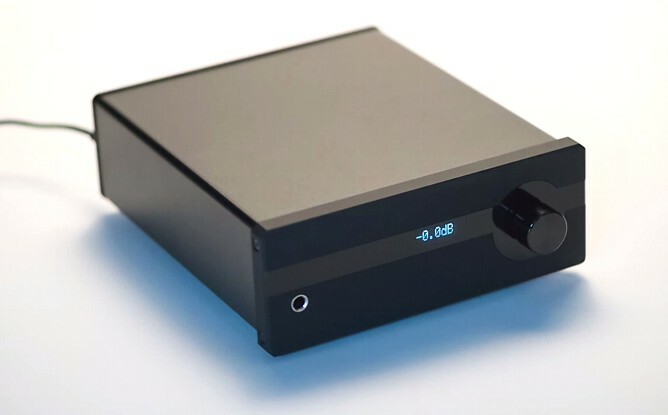 Geek Pulse is the world's most powerful 32/384 kHz + DSD128 desktop DAC and 3000 mW headphone amplifier. When it comes to the Geek Pulse family, this is what others might call a base model. We prefer to think of it as where awesome starts. Geek Pulse X is a fully-balanced, dual mono version of Pulse, a 32/384 kHz + DSD128 desktop DAC and 3000 mW headphone amplifier. There's a 1/4" stereo headphone jack and a four-pin balanced headphone jack. On the back, there's a pair of balanced XLR outputs along with a pair of RCA outs. Geek Pulse 8 is a fully-balanced, dual mono version of Pulse, a 32/384 kHz + DSD256 desktop DAC and 3000 mW headphone amplifier. There's a 1/4" stereo headphone jack and a four-pin balanced headphone jack. On the back, there's a pair of balanced XLR outputs along with a pair of RCA outs. It has Dual high-precision Femto clocks and 4 User Selectable Digital Modes (Femto Time Frequency Response, Time Coherence, and Stable Streaming). Geek Pulse is Designed to be Different. Instead of just barely getting the job done, it goes the extra mile to get the job done well. Very well. So well that there's no other DAC that can do what it does without having to pay three times the price!!! Preţ Audio Alchemy Pulse: 870 €!! !